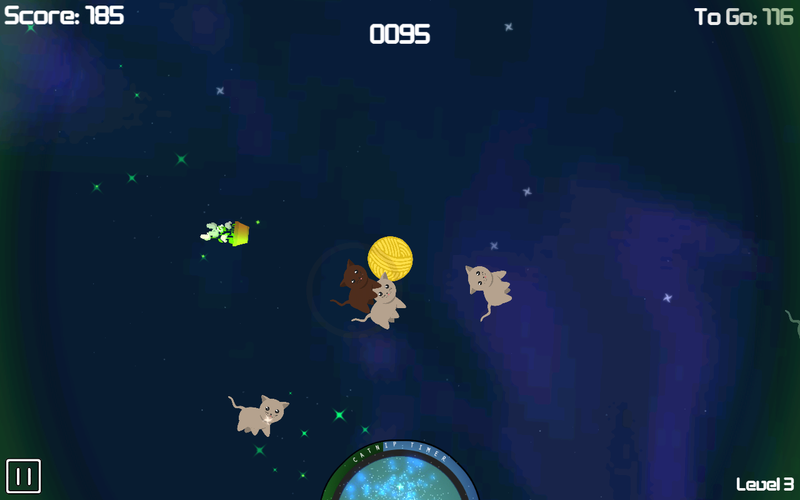 Sure, we have heard NASA complain about space debris making missions hard, but what about the space cat epidemic? To protect our precious satellites, and help to find these abandoned space cats forever homes, Galactikitties lets you take a trusty ball of yarn into space and collect them. This adorable game is like a cross between the Playstation classic Katamari Damacy and Asteroids. Kitties will fly in from every side of the screen and you have to navigate the ball of yarn to pick them up. However, they attach to the side, and as your ball of kittens gets bigger, you have to stay away from satellites and other space debris to keep them safe. Once you transport them back to the safety of Earth, you can go on saving more cats. There are a few different game modes and achievements to unlock, plus clothes for your cats that are flying through space. Overall it is a pretty fun game to jump in and out of. The best part is that it’s only $1.00. Hit the link below if you are up to save some space cats.